Although hardwood is the superior flooring choice, not all wood is created equal. Some kinds don’t last as long, some flooring looks better than other types, and pricing is different as well. There are many wood varieties ideal for homes and buildings, but three of our favorites are maple, mahogany, and walnut. Cameron the Sandman wants you to choose the best hardwood flooring for your home or business with ease. Our design professionals are her to help. Maple wood comes in many brownish shades, from a pale tan to the color of the syrup. If a darker brown is too light, there is also such thing as black maple. Its grain can be straight or slightly wavy. Maple is often referred to as the “king of the Acer genus” due to its hard texture and density. Its durability is the reason so many building and homeowners choose it for their property. Despite its great qualities, it still has some competition. Another one of our favorite floor woods is mahogany. Mahogany is characterized by its reddish tint and has a straight grain. Its work-ability difficulty is moderate because of its hardness, which is good since that quality contributes to its durability. There is also no difficulties in nailing, which can be an issue with some hardwoods. Mahogany is a luxurious wood guaranteed to beautify any home, but it is not the only wood that makes homes look nicer. A wood we promise will look great with any house and furniture set is walnut. Its color ranges from light to medium brown while its grain can be anywhere from straight to irregular. Walnut is a low-maintenence wood. Debris can be removed with a broom or wood-friendly cleaners, so not much is needed to keep the floor’s cleanliness or its warm and simple look. Hardwood flooring is the best, but certain woods make the floors even better. 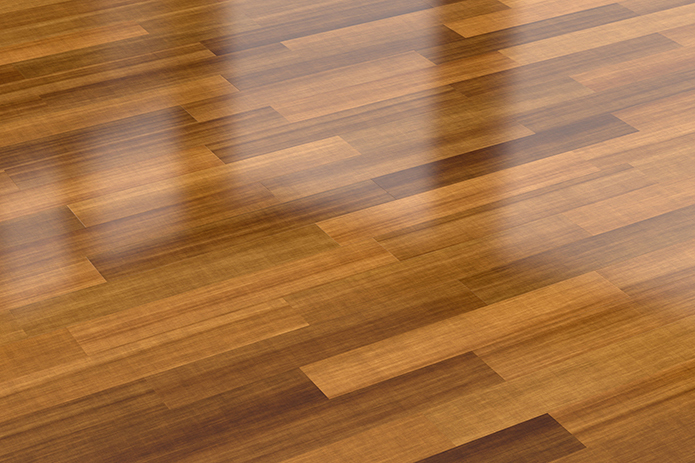 Wood floors with maple, mahogany, and walnut are just as durable as they are aesthetically pleasing. If you’re still not sold on these three woods, we have plenty more styles you can choose from.